Was the 1933 Holodomor an act of genocide? Why has the problem that this article calls the healing of historical memory become so topical in our day? The reason may be that in transformational processes social and humanitarian problems should not be pushed to the background. If society wants to remove the blemishes of its totalitarian past, it should be interested not only in investments or the exchange rate. You cannot head toward the future with your head turned to the past. I belong to the older generation, those people who were recently granted the legal status of “children of the war.” The older members of my generation fought in the war, mostly in its victorious phase; some younger ones were born after the war. We are all united by one characteristic: we are graduates of Soviet schools. Throughout my life I have encountered people from my parents’ generation. However, the historical consciousness of the preceding generation became clear to me not through direct contacts, but only as a result of my professional activities. There was an almost impenetrable wall between us, and even Khrushchev’s “Thaw” failed to dismantle it. Frankness was impeded by the staggering number of informers working for the secret police, popularly known as “the organs.” Hounded by the security organs, the representatives of this first generation of “Soviet people” did not share their life experiences with the next generation, their children. Those children — the oldest of which are over 80 — grew up under a mature Soviet system. What was my parents’ generation all about? Those people survived a civil war that in and of itself attested to that generation’s mixed attitudes to the communist idea. Later, this generation became divided (into unknown proportions) into those who wanted to build a new life to the accompaniment of the March of the Enthusiasts’ and those who were forcibly driven to join communism. The ranks of the latter were probably increasing because life did not get any better, while the terror intensified. Still, there is a litmus test for determining the attitude to the Soviet regime of a large proportion of this generation: the war against Nazi Germany. German statistics indicate that between June 1941 and October 1942 — a period of less than a year and a half — a total of 5.2 million Red Army troops surrendered to the Nazis. Such was the result after 16 months of the “Great Patriotic War.” People preferred to become POWs rather than defend their Bolshevik-conquered Fatherland. To keep this horrible phenomenon away from the public eye, Stalin abolished military dog tags and the registry of names of fallen soldiers, and introduced a strange column in the statistics, which became usual practice from the spring of 1942: “Missing in action.” It was only after the Soviet people became convinced that Nazism constituted a lethal danger that they began to fight the enemy in earnest. Between November 1942 and November 1944, i.e., during a two- year period, only half a million Red Army soldiers and commanders were taken prisoner, a figure that is 10 times smaller than during the first period of the war. Therefore, the generation of victors in World War II built a thick wall separating it from the next generation and did not hinder schools from raising their children in the communist spirit. When we, their children, grew up, we proceeded to form our contemporaries’ consciousness and that of the next generation in the spirit of convictions instilled by Soviet schools. However, the impact of propaganda and upbringing should not be overestimated. Life experience has always been the key factor in the formation of historical consciousness and citizens’ world views. The experience accumulated by the communism-building generation was radically different from that of subsequent generations, the people who were destined to live under communism. Without changing its character in any way, the Soviet government altered its attitude to society. It stopped using mass terror as a method of state rule. At first, mass terror was used to create an artificial socioeconomic order and later, to strengthen Stalin’s personal authority. After his death terror became selective rather than mass-scale. This was enough to maintain the existing political system. It turned out, however, that an artificial system becomes unstable without mass terror. In this situation, the new political leadership had to exert tremendous efforts to raise the population’s level of well-being. These were truly heroic efforts, considering the Soviet Union’s military commitments and inherent ineffectiveness of the command economy. The current generations have duly assessed those efforts. Despite the inconveniences of daily life that the decades-long death throes of the Soviet order inflicted on the people, the older, and mostly middle, generation in Ukraine preserved its generally positive views of life in the past, all the more so as it is difficult for people over 40 to adjust to a new life. These objective circumstances explain the moral detachment of a large number of Ukrainians from the horrific tragedies of the interwar period, including the Holodomor. These people cannot believe that the Soviet government, so deeply rooted in the masses, was capable of cold-bloodedly annihilating its own citizens. The Kremlin’s dictatorship in Soviet Ukraine was implemented not so much by the CPU as by “union-subordinated agencies” (star ting with the KGB). However, even these agencies were Ukrainized. The Kremlin-reared nomenklatura reported directly to the CPU leadership and, at the same time, was a solid link of the Communist Party/Soviet system. In 1988 the CPSU lost its status as a state structure, and power passed to the Supreme Councils. The Union center, headed by Mikhail Gorbachev, found itself faced with a challenge from Boris Yeltsin, then Speaker of the Russian Parliament. The Ukrainian nomenklatura promptly took advantage of the crisis in Moscow. On July 16, 1990, it adopted the Declaration of Ukrainian State Sovereignty; on Aug. 24, the Act of Independence, and on Aug. 30 it banned the CPSU on the territory of Ukraine. In my 2005 series of articles entitled “Why did Stalin exterminate the Ukrainians?” published in The Day (no. 207, 2005) I mentioned another fact relating to this strange (at first glance) phenomenon. James Mace recounted how Oles Yanchuk’s documentary Holod-33 (Famine ‘33), on which he had worked as a consultant, did not receive a single penny from the central budget, but it was shown on Ukrainian television on the eve of the referendum held on Dec. 1, 1991. The above facts prove one thing: the leaders of Soviet Ukraine sought to climb up the rungs of the Kremlin ladder and become genuine state leaders. After they “flowed” from the party structures into Soviet ones, they banned the activity of their own party and armed themselves with the state symbols of the “Ukrainian bourgeois nationalists.” The truth about the Holodomor was used for the sole purpose of revealing the actual danger of all those fateful decisions if they were made outside the republic. This corresponded to the Kyiv leadership’s calculations aimed at asserting Ukraine’s political independence and, thus, their personal independence of the Kremlin. Leonid Kuchma should be given credit for signing his ukase of Nov. 26, 1998, marking the 65th anniversary of the Holodomor and establishing Holodomor Victims Remembrance Day to be marked on the last Saturday of November. On this date measures were supposed to be implemented in order to restore people’s memories of the most horrifying event in the history of Ukraine. However, these Remembrance Days serve as the best proof of the indifferent, even scornful, attitude to this event on the part of regional authorities. In fact, the required measures were formally approved in the Ukrainian capital only after insistent reminders from activists in the Ukrainian Diaspora. Quite a few books on the Holodomor have been published in Ukraine. However, I cannot think of a single book that was published with state funds. The proceedings of the international scholarly conference held in September 1993 were published by the Institute of History at the National Academy of Sciences of Ukraine. The proceedings of the conference held on Nov. 28, 1998, were published with funds raised by the Ukrainian American Marian Kots. 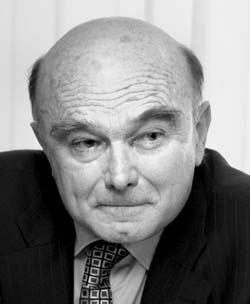 This philanthropist has been instrumental in the publication of dozens of other books about the Holodomor. All honor and respect to him! Much can be said about the attempts to create a scholarly-research structure that would embark on the study of the genocide of the Ukrainian nation within the framework of the Institute of History. For example, on Feb. 4, 2003, Viktor Yanukovych, the chairman of the Organizing Committee to Prepare and Implement Measures in Conjunction with the 70 th Anniversary of the Holodomor in Ukraine, issued a directive stating that “the scholarly work of the Ukrainian Genocide Research Center will be adequately funded.” Yet to this day the state has not allocated a single hryvnia for target-oriented studies in this domain. Books published in Ukraine, with a print run of 1,000 copies, or even fewer, cannot possibly have an impact on the process of healing the historical consciousness of our citizens. In December 2005 veterans in Kyiv held a meeting during which council chairman Ivan Krasylnikov took the floor and spoke at length about the merits of “Joseph Stalin, the greatest figure in the history of the world,” while Yurii Syzenko, the first secretary of the CPU municipal committee, referred to “the so-called Holodomor.” Oleksandr Omelchenko, the then mayor of Kyiv, was present at the meeting and declared that he was donating 300,000 hryvnias so that people could receive complimentary issues of Kievskii vestnik [Russian-language Kyiv Herald] on whose pages statements made by Krasylnikov, Syzenko, and others like them are published. The mayor made it clear that there would be no problem to double the amount if need be. Thus, government funds are still being used to drum the postulates from Stalin’s Short Course on the History of the AUCP(b) into veterans’ heads. On May 14, 2003, the Verkhovna Rada of Ukraine adopted a Message to the Ukrainian People in conjunction with the Holodomor. The document defined the Holodomor as an act of genocide against the Ukrainian people. The bill passed with 226 votes in favor. Without a doubt, President Kuchma and Parliamentary Speaker Volodymyr Lytvyn had done their best to produce the minimum required majority of votes, lest the Verkhovna Rada miss the 70 th anniversary of the Holodomor the way it missed its 60 th anniversary. During that decade historians and regional historians published mountains of blood-curdling data. So it would have been strange if the parliamentarians had ignored it. I will briefly restate what I said in The Day in 2005 with regard to the role played by the Ukrainian Diaspora in revealing to the world the scope and fundamental nature of the Holodomor. In 1982-1983 the Diaspora succeeded in organizing large-scale events commemorating the Holodomor’s 50th anniversary in a number of countries. This was instrumental in the decision of the US Congress to set up what became known as the Commission on the Ukraine Famine (1932-1933). The commission’s activities forced Volodymyr Shcherbytsky to acknowledge in December 1987 the fact of the famine in Ukraine. This, in turn, gave researchers access to archives on the Holodomor. Shcherbytsky’s successors allowed the publication of top-secret KGB archival documents reflecting the true picture of what actually happened in the Ukrainian countryside during the Holodomor. This was the systematic nature of events initiated by the Diaspora. This article analyzes another problem: why is the process of identifying the Holodomor as a genocidal famine such a difficult one? An analysis of the reasons preventing people outside Ukraine from ascertaining this fact should start with the works of journalists and scholars in the Ukrainian Diaspora, connected to the interpretation of the Holodomor. Ukrainian immigrants talked about the Holodomor, relying on their own experiences. They knew that the Soviet regime had placed them in a position in which they simply had no chance of surviving. In communicating with each other, they realized that the famine had engulfed the entire Ukrainian countryside and that the Soviet regime was destroying Ukrainians. After studying their eyewitness accounts, Western scholars, among them the members of the U.S. Commission on the Ukraine Famine (1932-1933), arrived at the conclusion that a genocidal famine had indeed taken place. At the time, it was not possible to verify the reports of eyewitnesses to the Holodomor, nor could archival work bring quick results. After writing my first booklet entitled 1933: The Tragedy of the Famine, which appeared in May 1989 (also published in the newspaper Literaturna Ukraina in January and February 1989), I believed that the Ukrainian tragedy was the result of an economic crisis, and that this crisis stemmed from the forced collectivization campaign. A more thorough-going familiarization with the archives of the CCCP(b)U led me to a different conclusion, namely that the Soviet authorities punished grain producers who had failed to fulfill the state delivery quotas by levying fines in kind on them; in other words, practically the whole Ukrainian countryside was made to suffer. Special resolutions were adopted to levy fines of meat and “other bread”—potatoes. These documents did not attract attention in the collection that Ivashko allowed to be published. It was only by cross- checking this data with eyewitness accounts (Mace brought me a computer page-proof of the unpublished three-volume collection in 1990) that the horrendous scope of the famine in Ukraine could be explained. It turned out that the “grain procurement officials” confiscated not only grain, meat, and potatoes from the peasants, but also all food supplies that had been collected to last until the next harvest. This action, in the absence of any possibility to purchase food in the countryside (peasants were excluded from the ration-card system) can only be regarded as the conscious creation of conditions leading to death by starvation. Thus, in my book The Price of the “Great Breakthrough” (published in March 1991) the Holodomor is treated as an act of genocide. At the time, however, I did not invest the term “genocide” with legal content, and little did I comprehend the real motives of the government, which was starving peasants to death. Cloaking the confiscation of food in the form of “fines in kind” led me to the idea that the government was punishing the peasants in such a barbaric manner for failing to fulfill the official grain delivery quotas. From the heights of our current knowledge of the Holodomor it becomes obvious that the perpetrators of the act of genocide must have been governed by a particular reason. The punishment of peasant debtors was selected as this motive. In the late 1980s and early 1990s, the voice of Soviet scholars was hardly audible, while the voices of the Ukrainian Diaspora’s journalists and researchers were reverberating mightily all over the world. What was the weakness of our collective stands from the standpoint of the legal content of the term “genocide”? We could recount those criminal actions in detail but were unable to explain Stalin’s reasoning. At the time we knew about the horrible scope of the tragedy in Kazakhstan (larger than in Ukraine). The cause of the Kazakh death toll was clearly apparent: most of the nomads’ cattle was confiscated for the meat delivery plan, and they were forced to work the land. Unaccustomed to agricultural work, they slaughtered the cattle left to them for food and then started dying of hunger. Naturally, the famine in Kazakhstan was an act of genocide in essence, but in the categories of criminal law it may be qualified as “manslaughter due to negligence.” The UN Convention on the Prevention and Punishment of the Crime of Genocide, of Dec. 9, 1948, reads that “genocide means any... acts committed with intent to destroy, in whole or in part, a national, ethnical, racial or religious group, as such...” In other words, you always have to prove the murder of people as a deliberate intention. The genocide of the Armenian people during the First World War was understandable to everyone: the Armenians were massacred simply because they were Armenian. The Holocaust of World War II is also understandable. The Nazis massacred the Jews because they were Jews. Germany’s defeat marked the starting point of criminal prosecutions against the Nazis, including those who were responsible for the Holocaust. The term “Holocaust” proved to be so easily identifiable that journalists in our Diaspora started using the concept of the “Ukrainian Holocaust” with regard to their own national tragedy. They failed to notice that there is a methodological danger in equating the Holodomor with the Holocaust. The expression “Ukrainian Holocaust” automatically leads one to the erroneous conclusion that the Kremlin destroyed Ukrainian citizens simply because they were ethnic Ukrainians. 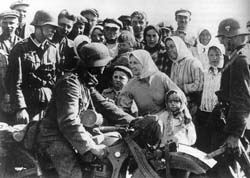 In actuality, the Ukrainian genocide was not as primitively simple as Hitler’s “final solution” in regard to the Jews. Identifying the Holodomor with the Holocaust was transplanted from the Diaspora by our journalists. This is inadmissible, for two reasons. First, we forget about the true Ukrainian Holocaust, the deaths of 1.6 million Ukrainian Jews at the hands of the Nazis. Second, we will never convince anyone that the famine of 1932-1933 was an act of genocide if we keep referring to it as the “Ukrainian Holocaust.” The international community will never understand why the Kremlin was set on destroying millions of ethnic Ukrainians precisely in the years 1932-1933. How many millions of Ukrainians starved to death in Ukraine? Unfortunately, our journalists and political figures are still using experts’ calculations borrowed from Diaspora sources in the period when Soviet population statistics were still secret. In 1990 we reprinted the dictionary section of the Encyclopedia of Ukraine published in the West, edited by the celebrated Ukrainian geographer and demographer Volodymyr Kubijovyc. One entry contains Kubijovyc’s tally of Holodomor death toll statistics (nearly 2.5 million), and Dmytro Solovei’s figure from a book published in Winnipeg in 1954-between four and five million. Another figure (7.5 million) was cited in 1950 by T. Sosnov in a newspaper published in Neue Ulm (West Germany). Later, Solovei, using the pen name of Petro Dolyna, contributed his figures to the first joint monograph on Soviet repressions in Ukraine, published by emigres in Toronto in 1955. His estimates were based on a formula of complicated percentages that are completely unsuitable for demographic analysis. Nevertheless, Vasyl Hryshko used it in his book about the famine in Ukraine. In 1983 an English version was published in Toronto and a Ukrainian one in Detroit. Eventually, this data was borrowed by Mykola Zhulynsky, the then deputy prime minister of Ukraine and chairman of the organizing committee of the international scholarly conference held in Kyiv (September 1993) to commemorate the 60th anniversary of the Holodomor. Since then, Zhulynsky’s statistics have often been cited: 7.5 million, including “direct losses” of 4.8 million people. During the parliamentary hearings on honoring Holodomor victims (Feb. 12, 2003), Dmytro Tabachnyk, the then deputy prime minister of Ukraine, noted in his speech that historians and demographers do not agree on the number of lives lost during the Holodomor (estimates ranging from three to ten million), but said that seven million looked liked the most reliable figure. The question is: why do journalists and politicians favor estimates made in the Diaspora? Is it possible that all these researchers have never looked up Soviet demographic statistics that have been open for the past 17 years? In March 1990 I flew to Canada from Moscow. The director of the Central State Archive of the National Economy of the USSR, Vsevolod Tsaplin, gave me permission to work in the archive for several days. That is how I landed in Toronto with a large digital cargo and contacted two world-renowned demographers with a proposal to write a joint article on Ukraine’s population losses resulting from the famine of 1932-1933. I contacted Professors Stephen Wheatcroft of the University of Melbourne and Alexander Babyonyshev of Harvard University, a former Moscow dissident from Sakharov’s circle, who signed his works using Bulgakov’s pen name Maksudov. Maksudov’s book entitled Poteri naselenia SSSR (Population Losses in the USSR) was published in the US in 1988. It is an impossible task to tally up the human lives lost in the famines of 1921-1923 and 1946-1947 because we have no data relating to migrations and population losses during the world wars. However, the number of victims of the 1932-1933 famine can be estimated with a great deal of accuracy, because this number constitutes the difference between the censuses of 1926 and 1937, allowing for the balance of natural and mechanical movement. Maksudov helped to figure out some purely demographic problems, and I was able to include my own estimates in the above-mentioned collection of archival documents whose publication was specially approved by the Ukrainian Politburo. In early 1990, my and Maksudov’s article was published in Ukrainskyi istorychnyi Zhurnal (Ukrainian Historical Journal). My estimates recorded direct losses of 3,238,000 people, allowing for a margin of error of 3 to 3.5 million owing to inaccurate data on mechanical population movements. Aggregate losses (allowing for the drop in births during the famine years) reached five million. Maksudov refused to take into account official statistics on the mechanical increment rate (which I still think is wrong), so his estimates of losses wobbled between 4 and 4.5 million, and after factoring in the drop in the birth rate, 6 million. Using a completely different calculation method, which made it possible to establish only aggregate losses sustained in 1926-1939, in 1992 Serhii Pyrozhkov published his result: 5.8 million lives lost over 12 years. I believe that his figures are closer to my own calculation of the death toll over two years, compared to Maksudov’s. Stephen Wheatcroft refused to sign our article. I believe that this conscientious researcher was scared by the excessively high number of victims, which emerged from the unbiased analysis of sources. However, in an addendum to the collection of documents entitled Tragediia sovetskoi derevni (The Tragedy of the Soviet Countryside) published in Moscow in 2001, he published his own estimates of direct losses: between 3 and 3.5 million deaths in Ukraine, and between 6 and 7 million in the USSR. So we have death toll statistics. What we do not have is a desire to use them. Over the years no one has questioned scholars’ estimates. These estimates were known to Dmytro Tabachnyk, e.g., who said that “historians and demographers are arguing.” But is it possible to use a number that you like, which thus seems to be reliable? Unbiased findings on the Holodomor, not subjective preferences, must be submitted to the court of world public opinion.